This project was a bespoke development for a major UKAS approved EMC test house. As part of the test requirements for DEF STAN 59/411, DCS08 is a conducted transient susceptibility test which emulates the effects of a lightning strike. 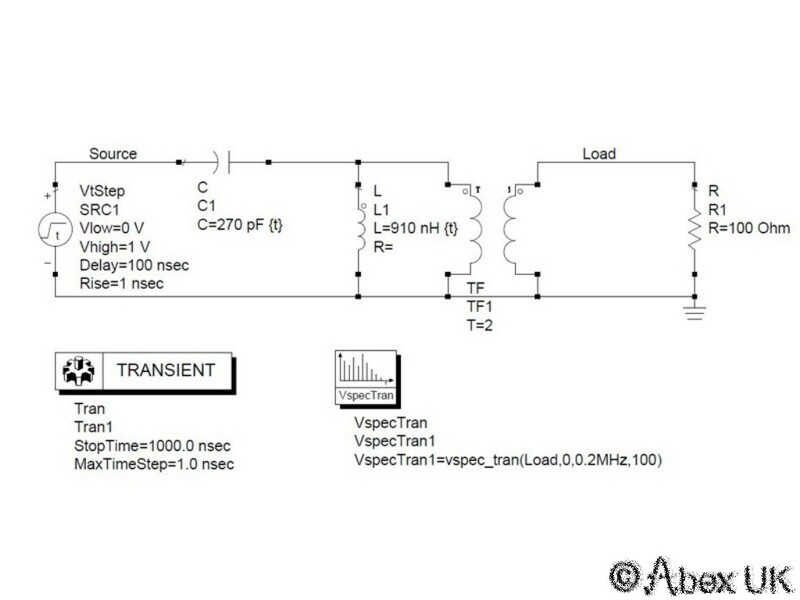 The test requires a high power signal source used in conjunction with a toroidal current-injection transformer. The simulator discussed here is the high power signal source. It was designed and built at Abex UK to meet the specification provided by our customer. 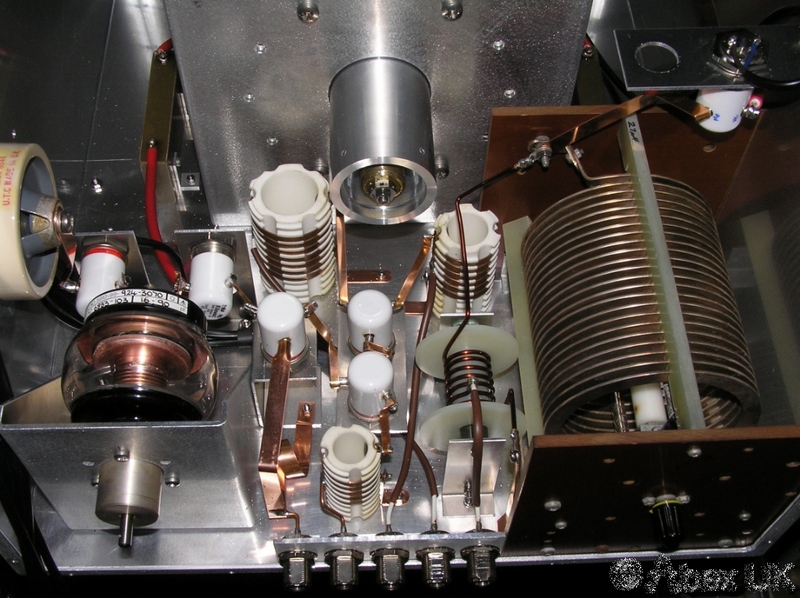 The key requirement is to deliver a maximum 3kV damped sinewave pulse into a 50 ohm load, continuously tunable over the 10MHz to 50MHz frequency range. 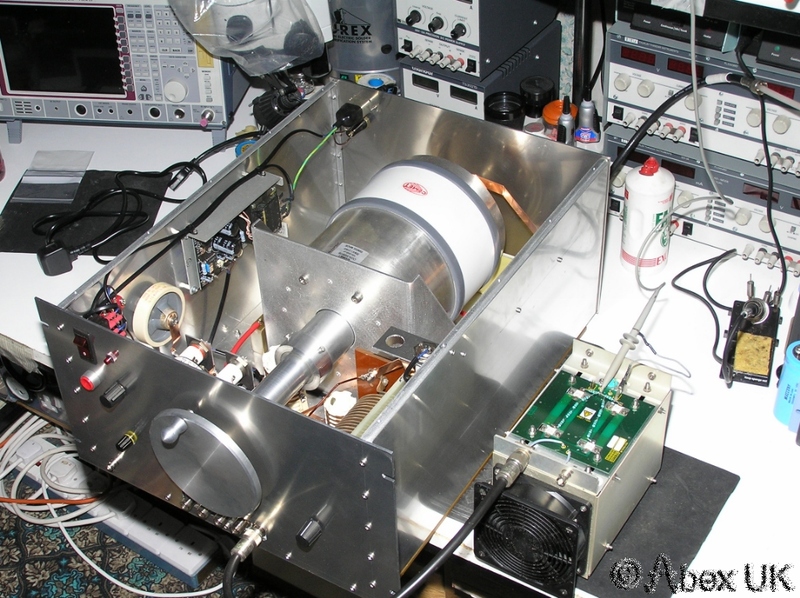 At 180kW of peak RF power, this presented some interesting challenges! Whilst the circuit design is arguably simple, the construction and component choices are not. However, the best place to start with almost any such work is with a computer circuit simulator. It can deliver fast answers to "what if" questions, and help to spot unforseen problems with even the simplest projects. Faster overall completion of the project, and a more optimal design are the outcomes to be expected by appropriate application of simulation tools. Here we see one of the test circuits which was used to explore the various trade-offs in component selection. The voltage stresses on capacitors and overall loaded-Q were key considerations of the final design. The simulator in use here is Agilent "ADS". 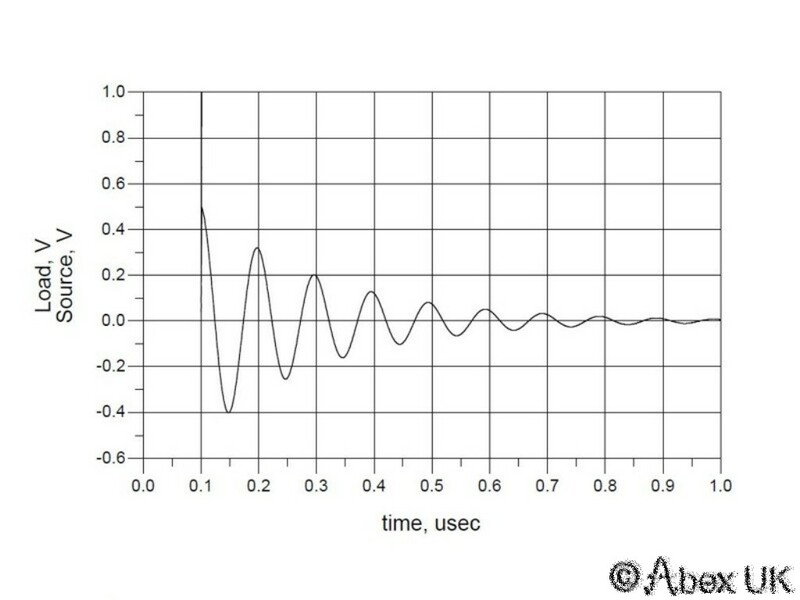 This graph shows the results of a "transient" simulation. this type of simulation is used to visualise voltage and current waveforms, and will be familiar to anyone who has used "Spice". 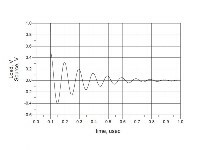 The shape of the waveform is readily observed and optimised while the effects of component values and transformer ratio are explored. Circuit simulation is often described as "CAD", but this can be an incorrect use of the acronym, because what we are actually doing is computer aided trial-and-error!. 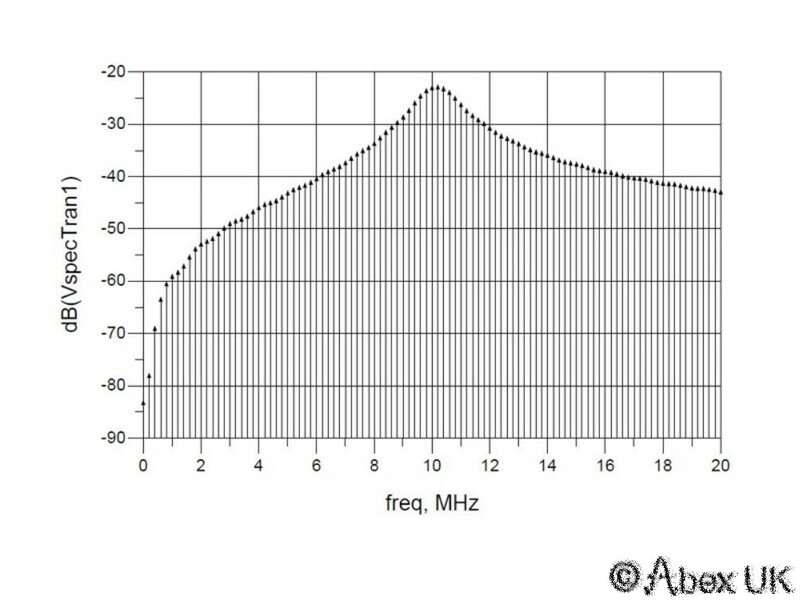 This graph shows an FFT simulation result, which is useful mainly in terms of visualising the bandwidth of the signal being produced. 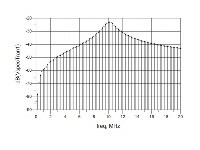 We already know from the voltage waveform that the signal is at approximately 10MHz, but this graph makes the centre frequency and spectral characteristics unmistakeable. The actual output spectrum of the completed generator would look like this on a spectrum analyser only if it were triggered repetitively. 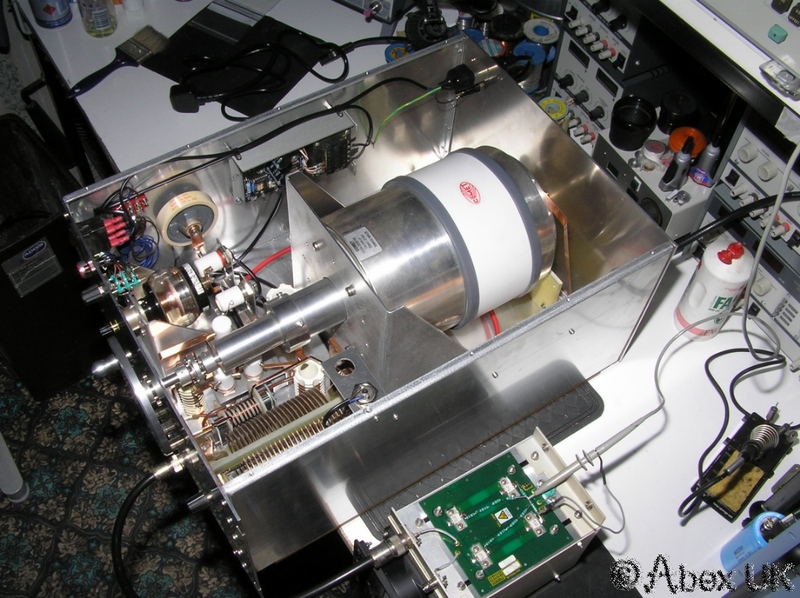 Vacuum variable capacitors are used where necessary. These are expensive components, but offer significant advantages over conventional air spaced types. They are of smaller physical size for any given combination of voltage rating and capacitance, with lower losses and lower self-inductance. Vacuum relays are used throughout to band-select the inductors, all of thich are air-cored and utilise heavy gauge copper strapping for the windings. Inter connections in all of the high frequency sections utilise heavy copper strapping. The roller-coaster variable inductor is used on the low frequency band only (below approximately 15MHz), and for this band only, a ferrite cored transformer is used for impedance matching. This is another component requiring careful design due to the peak power levels involved. The layout of the chassis began by placing the various components on a bench, and moving them around until it looked vaguely "sensible". There is no substitute for a warm feeling at this stage, and many years of RF design experience are drawn upon to get the required warm feeling! The next step is to draw wire-frame sketches of the parts on a computer drawing package (we use Autocad), and home-in on a solution which fits all of the required parts together. At this stage, for the first time, it is possible to see that a standard 19" chassis size can be used. But only just! There are many custom parts in the final design. 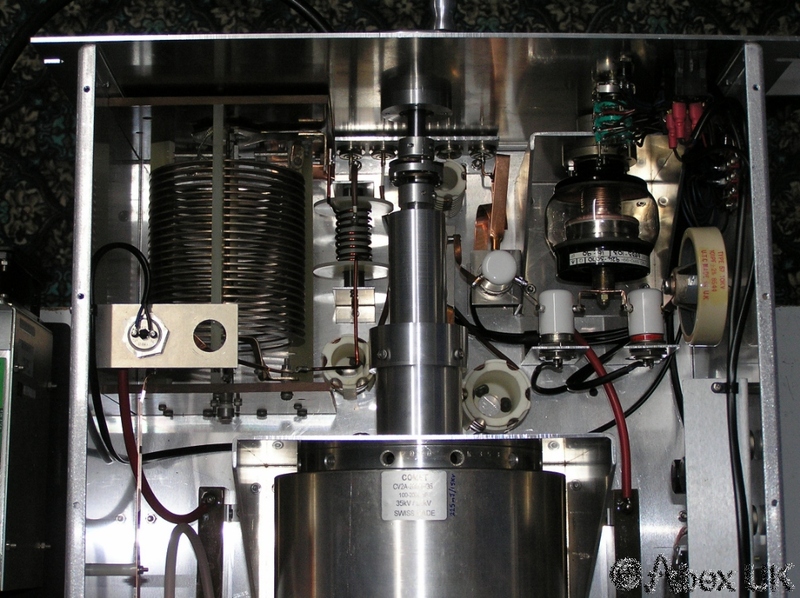 These include the chassis itself which was folded from 3mm aluminium sheet, mounting brackets, a number of turned parts for the Comet vacuum capacitor, and the control knob for this. The custom made control knob is 150mm diameter due to the physical effort required to adjust the Comet capacitor. A motorised version was planned but has never been implemented. Once all of the required mechanical pieces were available, the unit was hand assembled and made ready for testing. Testing was initially performed at a low power (i.e. low voltage) level. The energy released when the unit is triggered must first be stored in the capacitors by charging from a DC power supply. Initial testing was performed at 100V. Once everything had been checked and verified at the 100V level, the voltage was increased in stages until the full design rating was reached. In fact, this rating was exceeded during testing to ensure that component failures and flash-over would not occur under normal operating conditions. 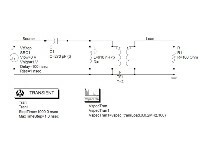 The design rating of 3kV output occurs with a D.C supply of 15kV, which is supplied by a Glassman ER power supply. The unit has now been in regular use for a number of years with no component failures.